PM360 Special Section Affordable Care Act—The Right Prescription? ACA–The Right Rx for Pharma and America? Affordable Care Act: The Right Rx for Pharma and America? When the historic national health insurance legislation known as the Patient Protection and Affordable Care Act (PPACA or ACA) was upheld by the U.S. Supreme Court on June 28, there was, predictably, instantaneous reaction and analysis from all sectors of the pharmaceutical and healthcare community on the impact of the new law on the country in general, and on pharma in particular. On the financial side, the global accounting firm PricewaterhouseCoopers determined that the new law would put the pharma industry $140 billion in the hole by 2021—nearly 5% of industry revenues from this year, and that’s after $15 billion in ACA-related sales gains. The Medical Device Manufacturers Association pointed out that under the ACA, med device manufacturers will be charged with a 2.3% excise tax on all non-retail medical devices sold and that the law could cost manufacturers more than $20-30 billion before 2019. On the doctor side, MDLinx (www.mdlinx.com), a leading specialty physician portal, polled U.S. primary care physicians the day after the Supreme Court’s ruling, and 66.5 percent said that they did not believe the law could achieve its objective of 100 percent healthcare coverage for Americans. And the company’s poll of physician owners and partners in small practices showed that 26.4 percent could foresee closing their practices within the next year given the country’s current financial environment. The Association of American Medical Colleges estimates that with 300,000 more people getting insurance coverage by 2014, the U.S. will have at minimum 60,000 fewer doctors than needed by 2015. PM360 Magazine queried our Editorial Advisory Board members, columnists, and contributors to get their initial reactions to the upholding of the ACA law, and what they felt the law’s impact would be on the pharmaceutical industry and on healthcare in America. 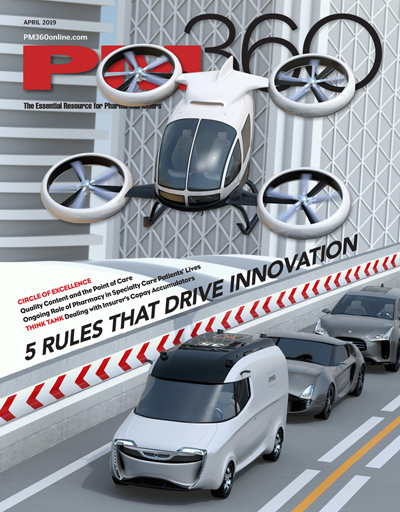 If you’d like to chime in, please send your comments to editorial@pm360online.com and we might publish them in a future issue or in our e-newsletter Panorama. Whether you are happy or not about the Supreme Court affirming the ACA as the law of the land, everyone should agree that it’s a game-changing decision. Pharma manufacturers, who for the last two years were scenario planning, are now able to execute on the “yes” plan. Over the next two years, 30 million people will be coming into a healthcare system ill equipped to accept them other than supplying medicine. This is by far the largest opportunity for growth for an industry that is pretty short on good news. Pharma manufacturers have the means and the opportunity to live up to their stated goal of meaningfully helping patients become good consumers of their products and adopting healthier lifestyles related to their condition. The healthcare communications suppliers can be of substantial service in achieving those goals and stand at the ready. On the whole, pharma manufacturers should be happy that the ACA survived the Supreme Court challenge. Yes, the industry promised roughly $80 billion in fees and rebates during the formation of the Act, and no, the increased population of insured persons probably won’t recoup all of that money. That said, we need to think about the whole picture: Biologics get 12 years of protection rather than the Administration’s preferred eight; the insurance companies will have a harder time denying expensive treatments to patients, and that will boost patient populations; giving seniors a break always engenders public support; and, finally, competing in a stable market is easier than one that has political uncertainty on top of the global economic issues. The Supreme Court’s decision to uphold the ACA and the individual insurance mandate represents another step in the growing trend toward consumerism in healthcare. To meet these consumer demands, the healthcare industry must move quickly to adapt. With an estimated 30 million uninsured Americans gaining access to the U.S. insurance market, either through state insurance exchanges or through private individual insurance, consumers will have greater choice regarding their own healthcare, and they will be looking for trusted sources of information to best manage their health conditions. Health insurers must understand the decision-making process when consumers shop for health insurance, and it will be critical for insurers to create offerings that meet the unique needs of those who will now be part of this new market. The effects of the ACA on the pharma industry and healthcare delivery will be substantial—and often paradoxical. Wall Street celebrated this as a big win for Big Pharma because up to 60 million newly-insured will have access to a pharmacy benefit. However, those newly insured will generally be young adults less likely to need prescription medicines. In all likelihood their benefits will be managed very similarly to Medicaid, which is heavily dependent on generics. Others will be insured through exchanges that will also manage “generics first” formularies (step edits and prior authorizations for many categories) and in some cases we will begin to see “generics only” benefit designs to make them cheaper. More new members will also give payers more bargaining power. Smart companies can thrive in this new environment, but those that rely on the same old approaches to the market will likely find themselves wondering what happened—and longing for the good old days! The ACA is not a perfect piece of legislation, but it is good news in the long term for patients, healthcare companies, and American society as a whole. Pharma industries are no longer focused on producing products that consumers can obtain by simply deferring other purchases or spending wisely, which was once the case. And the system as it has existed for the past several years, with costs escalating out of control, is not sustainable for either businesses or individuals. New therapies often cost hundreds of thousands of dollars, and access to insurance coverage and payment for these therapies has now become a necessity for both consumers and the healthcare companies that market those therapies. The ACA addresses this access for individuals by eliminating exclusions for pre-existing conditions. It also takes a reasonable approach to a very real financial problem by requiring everyone to maintain insurance coverage, which allows the cost of modern health- care to be spread across as many people as possible. The ACA is a step toward expanding coverage to millions of Americans who otherwise would not have coverage. With more patients covered, there will be more opportunity for pharma companies to get novel, branded medicines into the hands of consumers. However, there may be a fly in the ointment. These changes will likely have a significant downstream effect on those providing coverage, as they will likely be challenged to manage risk and achieve better clinical outcomes. The payers who have traditionally sought to reduce coverage and spending will have to look toward improving health and outcomes. Pharma must partner with payers to develop positive relationships that allow for continued investment in research and development. The ACA is also likely to have a dramatic impact on pharma marketing. With the possibility of decreasing revenue and profits, there may be a shift in how marketing dollars are spent—from more cost-effective targeting of physicians and scientific thought leaders to targeting insurance companies and formulary experts, pharmacies, and even allied healthcare professionals. While pharma companies can expect to pay fees and rebates While pharma companies can expect to pay the fees and rebates that were agreed to in funding the ACA, the bigger challenge facing pharma will be the increased costs of developing new drugs while losing sales on existing drugs that are coming off patent. There will no doubt be more cost controls, and DTC marketing will see more budget cuts in the coming years as consumers have made current DTC marketing initiatives ineffective. The key for successful DTC marketing in the near future will not be cost control but ensuring that pharma and biotech companies invest in infrastructures that can make their marketing more effective (i.e. digital marketing), which requires more resources. Insurance companies will probably increase marketing efforts aimed at their base and will recruit patients who now need to purchase health insurance. Overall this could be good for consumers as insurers differentiate themselves with more patient-focused programs, including prevention and digital marketing. I see some unintended benefits to the ACA law. As the demand for needed medical therapies and medicines increases, this may spur other laws that help the pharma industry to meet that demand, while also remaining economically viable. For example, The Generating Antibiotic Incentives Now (GAIN) Act might prove beneficial through its ability to extend by five years the exclusivity period for newly qualified infectious disease products. It may provide more incentive for innovation in the development of new biologics and small molecules in the war against antibiotic resistance. This could represent a win-win relationship where companies benefit financially, physicians benefit in the level of care they can provide, and patients are able to receive the care they deserve. From the dual perspective of public health science and ethics, the ACA can allow pharma companies to be pro-active regarding the pricing and marketing of products that are designed to prevent death, disease, and disability. One of the causes of public distrust of pharma companies stems from poor and reactive management of sales and marketing practices, which has led to the growing number of lawsuits and settlements. The ACA puts an emphasis on primary care, preventive care, and public health. Rather than trying to effect changes in policy after such scandals occur, companies could increase the transparency of, and accountability for, its sales and marketing practices in a way that can help regain public trust. Programs already in existence—such as company-sponsored PAP programs, donation of medicines in developing countries, compliance with good sales, and marketing practices found in PhRMA’s Code—could be more widely publicized. In addition, programs to reduce the cost of medicines to individual patients or to health payers could be instituted. PM360 Special Section ACA—The Right Prescription? Editor’s Note: PM360 wanted to get some reaction to the Affordable Care Act from the doctor’s point of view, so we checked in with our two physician contributors, Dr. Steven R. Feldman, MD, PhD, who is a professor of dermatology, pathology, and public health sciences at Wake Forest University Baptist Medical Center, and Matthew Mintz, MD, FACP, Associate Professor of Medicine at The George Washington University School of Medicine in D.C. The centerpiece of the Affordable Care Act (ACA) is a mandate to have insurance coverage that helps address one of the critical limitations of our current health care system—so many Americans not having access to today’s medical miracles. But while the ACA will help insure more Americans, it won’t solve the problem of the high cost of medical care in the United States. The ACA will not make the sky fall. The doctors, nurses, hospitals, and medicines that currently make people well will still, by and large, be there tomorrow. For doctors in the trenches, the ACA will mean that we will get to see more of the people who are currently suffering, but who have poor access to our services. These newly insured patients will be better able to afford the treatments they need. On the other hand, the current financial barriers that make it difficult to give some patients care will be replaced with “guidelines” and other bureaucratic hurdles that may limit how we can treat our patients. Overall, under the ACA, American healthcare will be more egalitarian. Even if there are new barriers, our healthcare system should be far better than at any other time in our history. And while physicians may be in for a “haircut” when the bureaucracy reduces reimbursement rates, our lot in life will still be far better than the great majority of the people we are treating. Like many Americans, few physicians really understand what the ACA actually means. With skyrocketing costs, private and public health insurance providers will need to find ways to survive. This will likely mean decreased reimbursements to physicians for services rendered, while physicians’ overhead costs continue to rise with or ahead of inflation. This is an unsustainable business model, especially for primary care physicians who are paid very little for their cognitive services. Unfortunately, the ACA does not address any of this. Physicians will need to ask themselves: Do I get out of insurance-based medicine altogether and go cash only or retainer (sometimes referred to as concierge) medicine? Do I try to see even more patients in a day? Do I just up and leave the profession? Physicians, especially those in primary care, will have to make a choice: Those physicians who choose to get out of insurance-based medicine may actually fair quite well, while the others who are stuck in our current system will continue to struggle. What will the ACA mean for patients? The law will introduce 30 million newly insured patients into a broken system, which will mean people will have more difficulty finding a doctor and will spend more time in the doctor’s waiting room (assuming they are lucky enough to get an appointment). Since the ACA does nothing to establish any infrastructure to care for the newly insured, expect crowded emergency rooms delivering primary care instead of treating those truly in need of emergent care. Undoubtedly, this will lead to further disintegration of the doctor-patient relationship, unless patients choose to go outside the insurance system, and pony up the money to see cash only or retainer physicians. By Kim E. White, M.B.A. Under the Affordable Care Act, payers must slow the growth of healthcare costs. Regulatory approval, physician preference, and patient demand will no longer justify premium pricing for new products. Although not a new concept, MLRs have been standardized across states at a high level. This ratio quantifies the amount spent on claims and wellness against premiums charged, and constrains payers’ overhead and profitability. The legislation sponsors pilots in alternative delivery and payment models, which incentivize providers to deliver better outcomes while controlling costs. Payers recognize that these models provide an opportunity to shift some of their risk to providers and are also experimenting with new approaches. The EHB defines a comprehensive set of healthcare services to be covered by plans and sets limits on the consumer’s liability. This limits plans’ ability to differentiate and shift costs to consumers. The exchanges create a marketplace for individuals to shop for coverage. As government and employers shift people into these exchanges, the insurers’ marketplace will shift from wholesale to a vastly expanded retail environment, requiring them to modify their sales approach. Since the law was enacted, payers have been evaluating and refocusing their network strategies to effectively respond. Payers recognize the need to better manage data to drive changes that help control costs, and they are actively building (or acquiring) this capability. They intend to use data to understand product use and outcomes, support coverage decisions, and influence treatment decisions. In addition, payers will give more attention to identifying appropriate patients and influencing appropriate product usage. They’ll monitor who receives a product for what diagnosis and evaluate product success relative to manufacturers’ claimed outcomes. To ensure the right patients receive the product, they’ll impose restrictions, like specialty limitations, on product use. When use and outcomes aren’t aligned, expect additional pressure on pricing, particularly increases. As providers are forced by payers to assume more responsibility for the costs and outcomes of their treatment decisions, they’ll require better data to justify product use. Their evidence demands will go beyond the randomized clinical trial data generated for product approval. Providers will be seeking real-world evidence that documents outcomes in populations that represent their patients. As providers become more aligned with payers, they’ll become more conservative in their treatment choice. This behavior change, coupled with additional product restrictions, will contribute to decreased product sales. To compete in this environment, manufacturers will need to rethink how they approach payers and ensure that their data fully represents the product’s economic and clinical value. Interactions will need to go beyond the traditional contracting arrangements and retrospective data reviews and explore opportunities to share risk. Companies that actively seek new ways to engage payers will be well-positioned to assure optimal market access for their products.